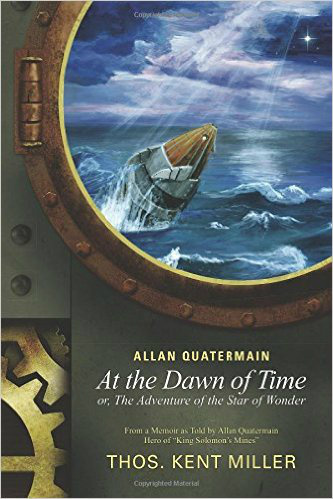 It was years ago that I met Tom Miller over a review I did for a book entitled “The Great Detective At the Crucible of Life.” I really liked the story, but felt it more of an Allan Quatermain story than a Sherlock Holmes. The two of use became long distance friends and I was honored to receive a limited numbered edition of this book from Tom last year. He even signed it for me! If you are reading this book understand one thing: Tom’s meanings run deep and like deep water sometimes take time to play out. It will be worth your time to read this book. Don’t think for one instant this is a boring religious book. Not so. There is action here, there are familiar literary characters, but never once is the action enough to shift focus from Tom’s quest for truth. This book attempts to answer questions left by the first two, so the quest is the important part of the chase. Our story so far has lead from Africa (Crucible) and the ultra mysterious She, to the heights of Tibet (Roof), and the writings of a person known as Issa, Now we turn to a symbol of light and hope for generations, The Star of Bethlehem. But what if? What if Issa really was Jesus of Nazareth? What if the gospels of Gaspar and Miriam are truth? Could Jesus’ descendants walk among us today? Could it be? These are neither questions I could answer, nor Tom either. But when you set a mystery with a “What if?” then you know searching for the answers will be an adventure. And as I say, the reader should be better for having read the book. Agree, disagree, be passive, don’t care—well, we all have our own truth we believe. But dare to wonder, be brave enough to question, open your mind, and above all enjoy this five out of five book! And yes, Tom, I believe you have left some threads dangling that just weep for you to dive in and wind them all up! Encore!